Thank you for considering Boca Raton Regional Hospital for your healthcare needs. 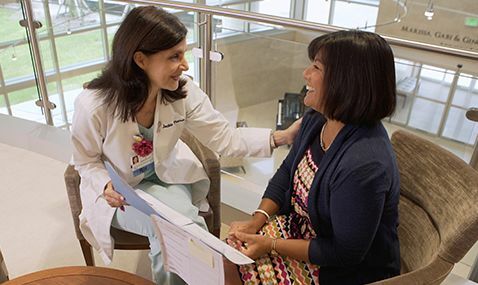 Born out of community need in 1967, Boca Regional has consistently focused its efforts and its resources on one mission and one purpose only; the health and welfare of the patients it serves. Now, over 50 years later, that singular approach to medicine has earned us the distinction as one of America’s Top 50 Hospitals and placed us in the vanguard of patient care in such areas as cardiovascular care, oncology, women’s health, orthopedics, emergency medicine, and the neurosciences. Our website has been designed to provide you and your loved ones with a wealth of content on our programs and services. You’ll also find information on your hospital stay, directions to our facilities, visiting hours, accepted insurances, and other useful facts about Boca Regional. In addition, you’ll be able to see and learn more about the many national accolades Boca Regional has earned for clinical excellence in a variety of medical specialties. We appreciate your interest in Boca Raton Regional Hospital. From the routine to the most sophisticated, we are confident you will find our hospital most capable in meeting all of your healthcare needs.